Every 200,000 years or so the Earth’s polarity switches and the magnetic poles rotate, with the compass needle swinging from north to south, and then in another 200,000 years, back again from south to north. The current magnetic field of the Earth is weakening. Although this change doesn’t happen on a human time scale, there are many scientists who feel that another polarity reversal is “imminent” in the next 10,000 years. The magnetic pole wanders around at the top of the world about 50 miles a day as the Earth spins, in search of a good jumping off point. In poetry, polarity shifts happen every generation. I can relate to the passion of the Imagists, who rebelled against the stuffy confines of romanticism and decided to rip-up the rules of poetry during the early 1900’s. Why do I relate to this period when rhymes were being left behind for something more abstract? It’s because part of my fascination with sonnets is it feels like I am rebelling against the current pervasiveness of free verse. I feel the pull of poetic polarity reversing and with it the liberty to not necessarily beat the “iambic pentameter bongos,” as Billy Collins would say, but to try and find a new language within the sonnet form. I find writing sonnets an act of rebellion with every rejection notice I receive, in the same way that I can imagine Hulme, T. S. Eliot, Pound and William Carlos Williams found it liberating to break free of it. I have given a lot of thought about what it is I find attractive about the period of 1900 to 1950 in poetry. I think it’s because I can relate to the language, there are not many old English words in use during this time that make sonnets and poems of a slightly earlier period sometimes difficult to understand. I like the tension of discovery within literature during this period. The expanse of poetry being written at the start of the 20th century is a connection to parallel movements in philosophy, painting, physics and politics, the old romantic classical period of elitist imperialistic politics not yet waned and the new modernist approaches of creative thought and social justice evolving. This tension between old poetic forms and new fresh creative approaches infuses both with a fluidity of language that I find pleasing to my inner ear and a strength of character for the forcefulness required for change that is inspiring. The early 20th century is the final period before technology reshapes the world in every way. And yet, without technology, all of my endeavors into poetry would not have been as likely or even possible, as the world comes to me magically through my little Chromebook and me to it. One of things I enjoy about sonnets, is almost every poet, even the modernists from 1900 to 1950, published at least one sonnet or a poem that is based on an evolution of the sonnet structure. Its fun to dig around and try and find the toss off, that may not represent the vast majority of a poet’s work, but was included none the less, just to show how high up on the poetic tree they could lift their leg and mark their territory. This is a period, where the magnetic pull of sonnets and classical rhymes still heavily influences creativity, the attraction of Dante and Shakespeare still strong, that even the most ardent modernist is compelled to roll up their sleeves and try their hand, just to prove their greatness against the best. Soft as spring wind that’s come from birchen bowers. As white their bark, so white this lady’s hours. A lyric poem, typically one in the form of an address to a particular subject, written in varied or irregular metre. Was treason: by what do I measure you? Was it romance or reason that carved your niche? An Imagist, whose chant was Make it New. In lieu of your roiled poetic allure? Pound for Pound, man’s the most fallible beast. My own past mocks in brilliance and despair. If our life is but A Moveable Feast*? Let’s hope the worst is not beyond repair. The truth of it; both serpent and a saint. *Pound and Hemingway were long-time friends who both lived in Paris during the period Hemingway wrote A Moveable Feast. The reference in the sonnet is an acknowledgement to shared passions and demons. Hemingway lobbied for Pound’s release from the insane asylum where he was incarcerated for treason in the United States from 1945 – 1957. Read my prior blog post, Make it New, for more stirrings on Ezra Pound. And power of healing as my pain requires. And find no one to give them audience. That none doth deign salute them on the road. Ezra Pound’s life story reads like fiction. I can’t begin to approach the expanse of it in a short blog post, so I will begin where I will end, with mercy. Pound’s 1934 book Make it New, looked to the past and through a combination of translations, imitations and original material, sought to recast the old with a fresh voice. I am, of course, drawn to Pound’s translations of Guido Cavalcanti’s sonnets, but the sonnets are not reflective of most of Pound’s life work, in fact they stand almost diametrically opposed to Pound’s pursuit of a simpler modernistic style. Pound was a driving force in the Imagists movement in poetry. It was Pound who saw the genius in T. S. Eliot when no one else would publish him and forwarded on a copy of The Love Song of J. Alfred Prufrock to Poetry magazine and promoted its publication. To a non-academic interested in poetry, I have been shocked how I seem to run into Pound at every turn. Pound befriended and promoted the careers of many leading modernist writers of the Twentieth Century. In addition to Eliot, Joyce, Lewis, Frost, Williams and Hemingway, he corresponded and helped the careers of Marianne Moore, Louis Zukofsky, Jacob Epstein, E.E. Cummings, Margaret Anderson, and Charles Olson as a short list. Be direct regardless of whether the “thing” is subjective or objective. Be brief. Use only words that contribute to the image, avoiding unnecessary words, particularly adjectives. Be musical, make the words flow, but not necessarily in a pre-set rigid sequence. For me, Pound is a symbol of the complicated personal contradictions that make us human. He was a modernist who translates classical poetry. He was a romantic in lifestyle and militant in his politics. He supported the Italian Fascist cause because he believed that only through conflict would come a new economic order that would create greater wealth equality, but he invoked racist ideology to further his cause. In his writing, he was just as inconsistent. He used translation and imitation to inform his body of work, yet was cutting edge in his modernist free verse. Through it all he persevered to an old age, despite reoccurring depression and an extended imprisonment in an insane asylum in the United States. Yes, some of Pound’s life and by reflection his writing is a mess and not very attractive. But some of it is beautiful. I think it is with mercy we should forgive this complex and imperfect man who had an impact on poetry that is vast and uncompromising. Where would poetry be without the unmeasured life of Ezra Pound? The current headlines in the United States on sexual harassment beg this same question: can we admire a person for their art, despite their despicable failings as a person? And curious imperfections of odor. and observe its inexplicable correlations. That we find minute observation. As if for some new covering to pray. We’ll cease to sigh for summer’s living green. My parents were both talented gardeners their entire lives. My father who is in his mid 80’s, still has an enormous garden that is source of nourishment, entertainment and exercise. He is legendary for his tomatoes, apples and sour cherries. Growing up, we helped our parents in the garden, even as little children. Gardening was a necessity, stretching our family food budget and allowing for a few extravagances. Staples of a June garden in Minnesota are spinach, rhubarb, strawberries, sweet peas and green beans. There is nothing better than sweet peas shucked fresh and eaten after a light blanching and nothing worse as far as I am concerned than canned peas. As a young child, I was a picky eater beyond compare. In the family mythology it has been exaggerated over time, but there is some truth to the suggestion that I subsisted on nothing but Captain Crunch, oatmeal and peanut butter sandwiches for a time as a 3 and 4 year old, winning the battle of wills played out at the dining room table between myself and parents on a daily basis. Today I eat almost anything and everything, but I can remember the Thanksgiving day dinner 20 years ago, when my Mother was visiting and she was shocked to see me preparing green beans for the holiday table given my history as a child. In that childhood garden there were two very long rows of beans each year. As children we he helped our mom pick them each day. No matter how you try and stay ahead of picking beans in season, inevitably some get bigger, thicker and tougher than is ideal from a taste and texture perspective. But my parents were born during the depression. Waste not, want not was ingrained and every other day, during bean season my Mom would process all of them into the freezer by cutting them, blanching them, putting them into a one family meal serving portion in a baggy and then storing them in little white boxes that had folding tops into the freezer. The boxes were cardboard and looked much like a take-out box from a chinese restaurant. By the middle of July the large freezer in the basement would be full to the brim on one side with rows and rows of stacked green and yellow beans. I hated them. It meant a monotonous fare of woody tasting green and yellow beans for dinner throughout the fall and winter. So it came as quite a surprise to my Mother to see me not only preparing green beans but having a second helping during dinner. This is a recipe that is a bit of my own culinary creation. The beauty of this dish is that its fast to prepare, the last thing you make to put on the holiday table and its festive and delicious. Time – Start to finish, less than 10 minutes. slivered almonds to taste (either raw or the flavored kind in the produce section for salads. Bring salted water in pot to boil. Add green beans to boiling salted water and blanch until hot and bright green color. Don’t over cook, leave the beans crunchy. Drain. Put a medium-sized sauce pan on medium heat, with a tiny bit of olive oil or butter in it, add the blue cheese. It will start to melt quickly, almost immediately, be careful not to burn it, lifting the pan off the heat if it gets too hot. Add the green beans before it’s all melted and stir. The heat of the beans will also help melt the blue cheese. Coat the green beans in the blue cheese. It will be a thin coating, hardly visible. Quickly add your cranberries and almonds. Stir quickly, mixing them throughout. Turn off heat and put in covered dish and serve. Don’t scrimp on the cranberries and almonds. Be prepared that if you make this once, you will be requested to make it again at the next holiday gathering. They’re not like peaches or squash. Plumpness isn’t for them. They like being lean, as if for the narrow path. The beans themselves sit quietly inside their green pods. Instinctively one picks with care, never tearing down the fine vine, never not noticing their ripped bodies, or feeling their willingness for the pot, for the fire. I have thought sometimes that something-I can’t name it- – watches as I walk the rows, accepting the gift of their lives to assist mine. I know what you think: this is foolishness. They’re only vegetables. Even the blossoms with which they begin are small and pale, hardly significant. Our hands, or minds, our feet hold more intelligence. With this I have no quarrel. Out of all our hard work and low pay, and tired backs, and empty pocketbooks, is goin’ to come a tune. And that song and that tune aint got no end, and it aint got no notes wrote down and they aint no piece of paper big enough to put it down on. I grew up in the 1960’s and 1970’s, a product of mid-western St. Paul suburbia. It was a time when summer included a week at camp, a time where there was less money, less legal liability, and because of it, less adult oversight. This translated into a hell of a lot more fun than I think adolescent children and teenagers are allowed today at such institutions. Our behavior did not always match the naive goody-goody image that might come to mind based on a Kodachrome Disney-esque portrayal of that era. And it was at these events that I experienced many firsts of the adult world under the cover of the wholesome conservative institutions that were supposedly shielding impressionable young men and women from such temptations in the first place. There was also a sweet, simplistic side to going to camp, the hot canvas tents, sleeping in a green cotton flannel sleeping bag, cooking out doors, swimming, canoeing and the camaraderie of friends sitting around a campfire. I look back with fondness, though I know we rolled our collective adolescent eyes when the song books came out. Yet, singing was an innate part of the camp experience. 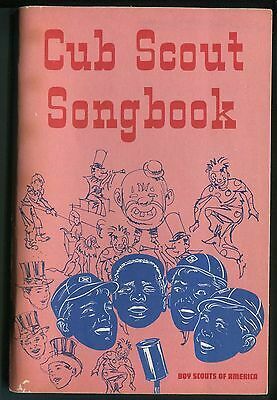 The idea of song books may sound old fashioned and it is. These were crude stapled copies, that allowed everyone to sing along. Apple and Sony had not yet usurped the idea that music was based on technology. Portable music played outside of the reach of an electric plug-in meant you made it yourself. The songs were simple: On Top of Old Smoky, The Ants Go Marching In, Home on the Range, B-I-N-G-O, This Land is Your Land and America the Beautiful. The song books often contained our national anthem, yet I don’t remember singing the Star Spangled Banner once around a campfire, but I sang This Land is Your Land a hundred times at least. Woody Guthrie’s history is well known, however the connection from Woody Guthrie to a sonnet may seem a bit obscure. Billy Bragg and Wilco took Woody Guthrie’s lyrics and released the song Isler On The Go on Mermaid Avenue. It is a haunting tribute by Guthrie, Bragg and Wilco to Hanns Isler, who along with his brother Gerhart, were accused by their sister of being communists. The two had been active in the communist party prior to WWII in Germany and had left Germany when the Nazi’s came to power. They immigrated to the United States where Hanns was able to cobble together a modest living as a composer for Hollywood films. In addition, while in America Hanns wrote a series of songs that had lyrics based on poetry from Brecht, Goethe and others as well. My subversiveness is that I love my brother. My crime is that I am trying to defend him. Give a listen to the simple lyrics and haunting delivery of Jeff Tweedy as Guthrie himself in this song is wondering what he would do if he is called to HUAC to give testimony. Hanns capitulated and returned to Europe, eventually settling in East Berlin. It was then that Isler composed the German Democratic Republic’s national anthem. He continued his long friendship and artistic partnership with Bertolt Brecht during this time. Brecht is best known as a playwright, but he also wrote the lyrics to many songs with Isler and left a legacy of more than 2,000 poems, including sonnets. Isler fell into a deep depression after Brecht’s death and his productivity as a composer declined. I have included a video of a performance of one of Isler’s and Brecht’s songs below; Songs to Sing in Prison. A recent English translation by Constantine and Kuhn shows the brilliance of Brecht’s poetry for those of us that can’t read him in his native tongue. One thing I do not want: you flee from me. Complain, I’ll want to hear you anyway. And blind: I’d want to see you nonetheless. Consider where we are still: in darkness. “Leave me, I’m wounded” is not good enough. And nor is “Somewhere,” only “Here” will do. Take longer with the task: but you can’t be let off. You know, whoever’s needed is not free. But come whatever may, I do need you. *Bertolt Brecht, Love Poems, translated by David Constantine and Tom Kuhn (New York: Liveright Publishing Corporation, 2015), 86.